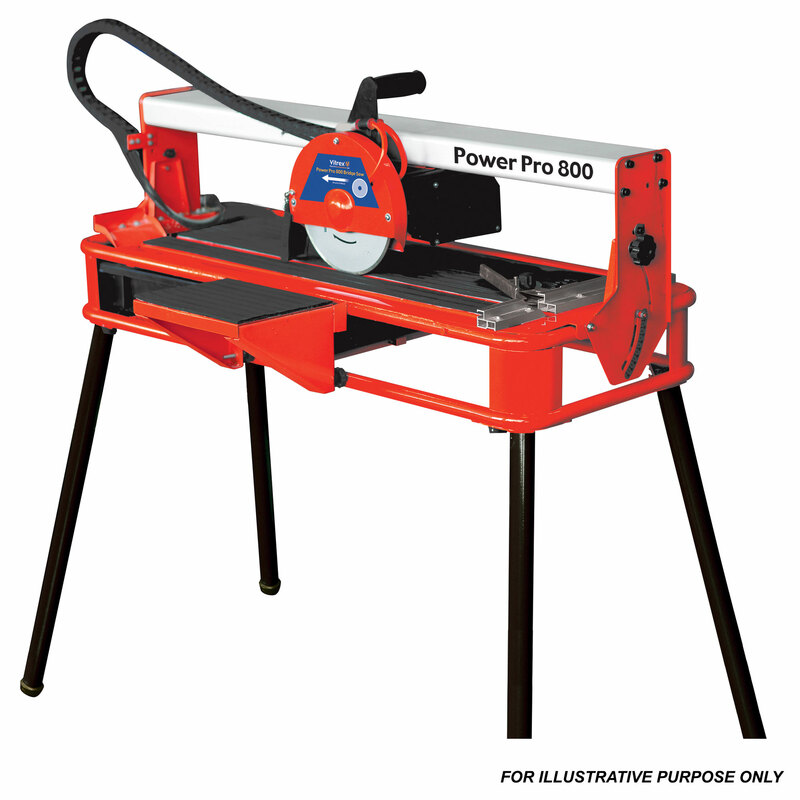 Vitrex Power 800 Bridge Saw boasts a powerful 800W Super quiet induction motor with 2900rpm no load speed & thermal overload protection to prevent overheating. The Vitrex Powercut 800 comes supplied with 200mm diamond blade for clean accurate cuts on most tile types. A different blade may be required for harder ceramics such as porcelain. Large water tray with submersible pump delivering water to active cutting wheel for essential cooling & dual water feed increasing blade life. 200m diamond blade with continuous rim for clean cuts prividing a 35mm max depth of cut (new blade). Sliding ruler and locking mitre guide for perfect straight cuts and fully adjustable angle guide for a diagonal 0°-45° tile cut.